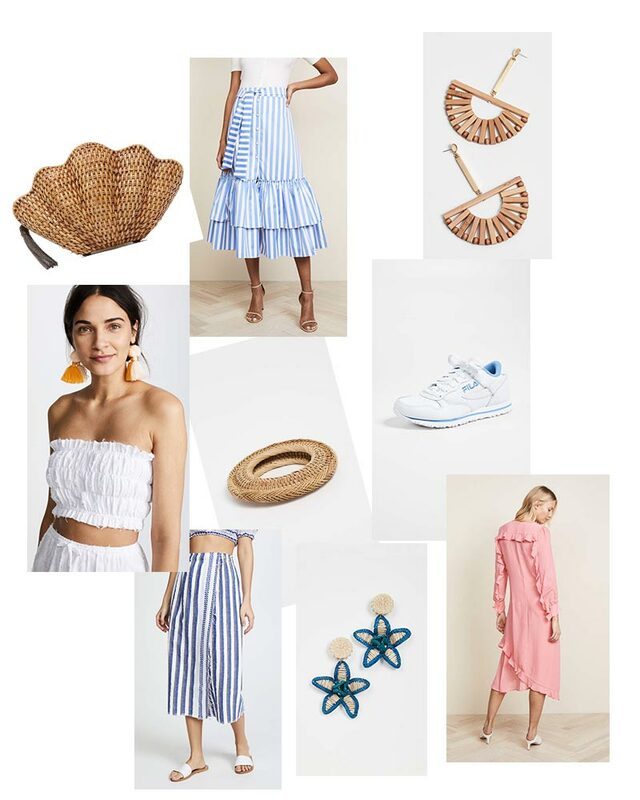 Shopbop is running an Event of the Season sale for the next four days that includes 20 percent off orders under $500 or $25 percent off orders over $500 or more. Use the code EVENT18 to save on loads of full-price and sale items. I have written before how I’m not a huge fan of buy more, save more sales. But I do like how this particular one includes 20 percent off for any amount under $500 (sometimes these are broken down even further and that becomes a bit of a race to save more, which means you may end up getting more than you bargained for). I also like that this sale includes a lot of great items which are already reasonably priced. Most of the ones I have chosen here are around $300 or less, many of them are under $100. At 20 percent, I’m going to concentrate on items in this price range; I want bigger discounts for major splurges. I used a recent 15 percent off promo to buy this Cult Gaia bag from Shopbop, which made it a great deal. I have included similar bags below (including a white one that I’m super tempted to buy; it’s so gorgeous)—plus a Cult Gaia bracelet that I’m totally getting and a pair of earrings that are absolutely perfect. Here are all my favorites from this event. There’s a of good stuff so be sure to scroll through.